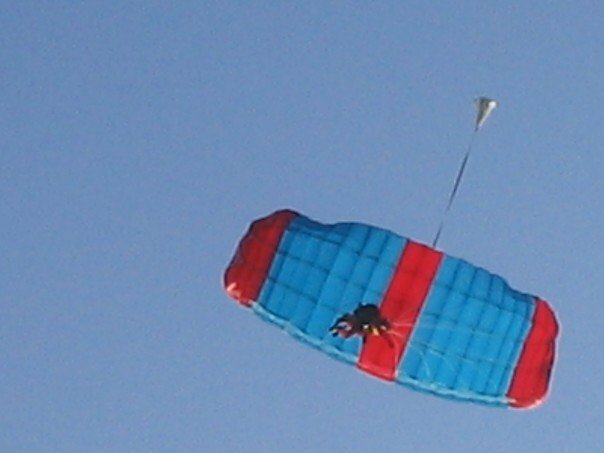 Free Falling…from an airplane (not to be confused with the Tom Petty song). I just got off the telephone with my former room-mate while I was studying in Prague, Czech Republic. It is always nice to hear from old friends. On a such a cold day on the Northern Peninsula, it gave me the opportunity to revisit some of my travels and adventures in the Fall of 2007. It’s always nice to take a stroll down memory lane…from the Nation2Nation celebrations, drinks at the Academic Club, $1 slices of pizza en route to the university, Tram #9, dancing at the 5 floor disco, Palac Flora shopping centre, booking one of the two washing machines in a building of 16 floors with no dryers to eating at “steakie”. 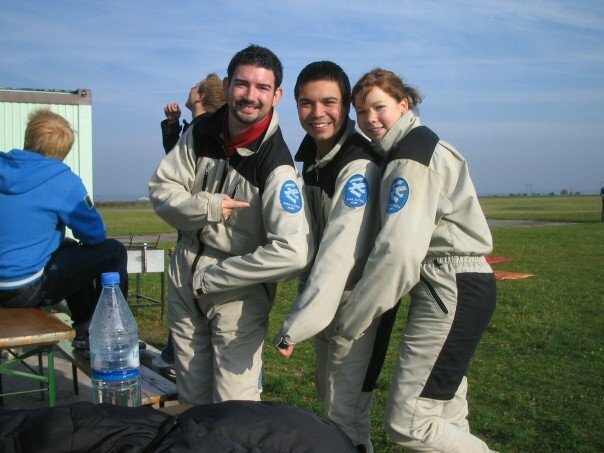 One of the biggest highlights was my experience “free falling” when I jumped from an airplane some 4,000+ metres over a rural village in Prague. 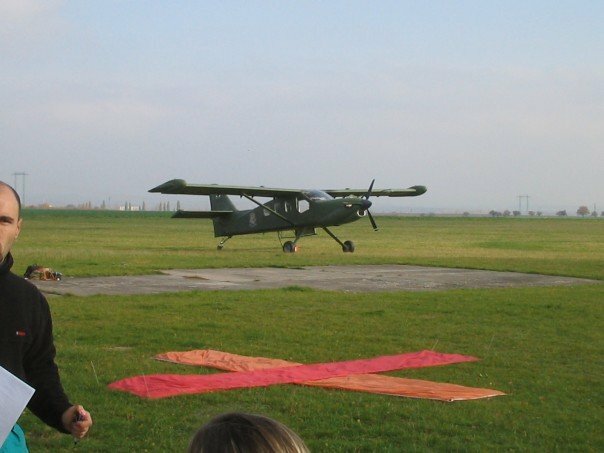 A group of students from England, America, Canada and parts of Europe took the train and then piled into this little airplane to experience skydiving for the first time. After getting all suited up we were very enthusiastic about the thrill we would were about to get. I decided to capture the memory with a video. I’ve watched it a few times since. The words of AC/DC’s Thunderstruck plays in the background. From my last post, you know I’m a fan of The Beatles but I also like Tom Petty, Bob Dylan and also AC/DC. My time in Prague had a significant impact on my life and I have returned three times since 2007 to this beautiful central European city that has a rich culture and history, that combines with modern flare. Life is all about experiences. At 27 years old, I reflect on the times before me and look forward to my next random adventures – because life was made for living. If you have a “bucket” list you may want to add experiencing the Great Northern Peninsula where the Norse were the first Europeans to re-discover North America more than 1,000 years ago. It was a place where the Basque, French, English, Irish, recent Indians and Maritime Archaic Indians lived before us dating back more than 5,000 years. There is a rich legacy of co-operation and advancing health care under the leadership of Dr. Wilfred Thomason Grenfell, a natural landscape that includes the last of the Appalachian Mountains, unique lifestyle and incredible people you have yet to meet. The images one can capture while driving Route 430 to my hometown is incredible. 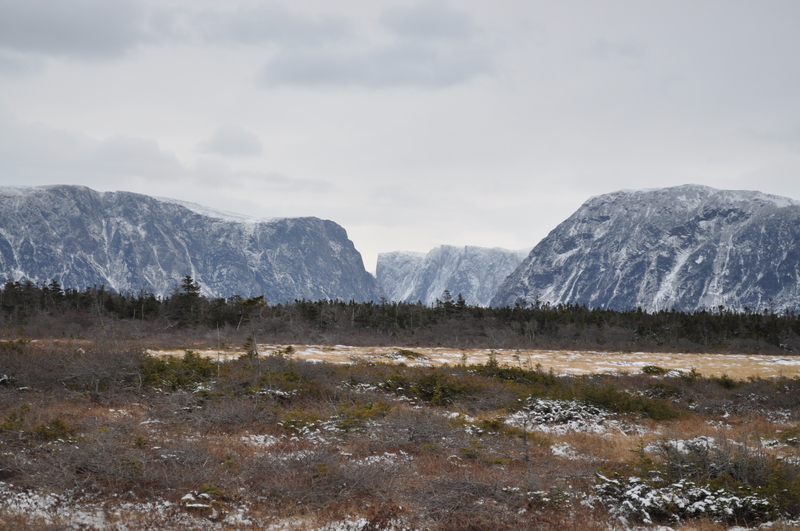 The fjords are ever-present at Western Arm Brook and continue North of Cow Head. They will turn heads and create a few words of “amazing”, “just beautiful” and “unbelievable”. On a bone chilling Boxing Day of 2011 we walked parts of the boardwalk, to reach the fjords may take you about 40 minutes. During summer one can take the Western Arm Brook Boat Tours and get a closer look at the ridges carved by glacier action some thousands of years ago. How could we resist being three grown men with some wet snow on the ground. We moulded in our hands a formidable snowball and had a friendly snow fight. It was anything short of the snowball wars I remember as a child. 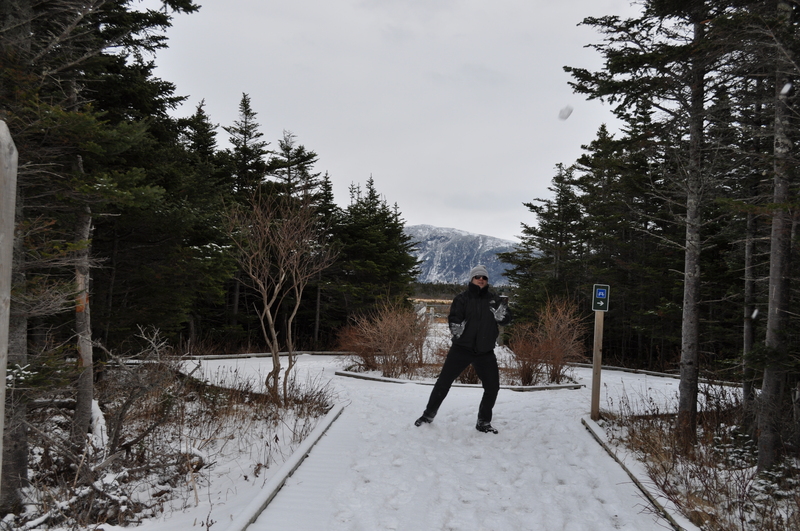 It is refreshing to stop and enjoy the simple things and life – laugh and recall the earlier years and your first experience with throwing a snowball. It is unique hills and remnants of the Appalachian Mountains are ever present on one side of Route 430, with the water on your left as you drive North. We enjoyed a delicious bowl of homemade turkey soup. A common dish after the big Christmas Day Turkey Dinner for many Newfoundlanders & Labradorians. The night was filled with meeting friends, dancing and celebrating the festivities of the season. On the 27th we were invited to my Aunt and Uncle’s house to feast on fish. The menu included codfish, salmon, halibut, scallop, shrimp, crab, wrinkles and britches. The fish was coupled with salads of all sorts and homemade beats and pickles. I must say my puddick was completely satisfied after the meal, not to mention a sponge cake served with whipped cream, vanilla pudding and mandarin oranges. In typical nature of any crowd of Newfoundlanders we surrounded the kitchen table and yarned for a while. My little cousin of 9 years of age had prepared a series of questions for my Swiss and German friend, ranging from their favourite colour, sport to what it is like at Christmas in their country. We had arranged to go ice-fishing the following day. 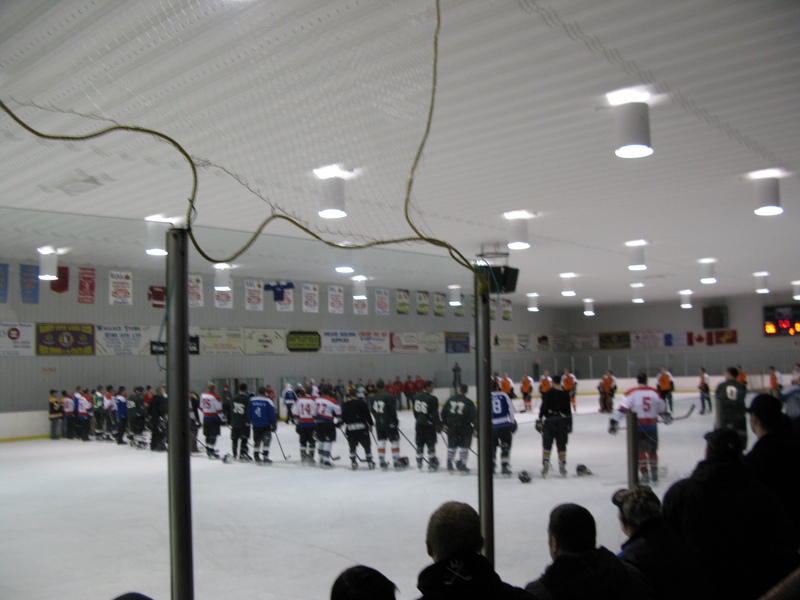 During the evening we would attend a Memorial at the Straits Arena. The crowd jammed into the arena, filling it to capacity as hundreds of students, family and friends from our neighbouring communities came out to remember the great Hockey Legend of Mr. Baxter Hughes. Mr. Hughes was my former high school teacher, the father of one of my classmates and a wonderful human being. He touched the lives of so many during his teaching career. One thing for certain is he had an immense passion and love for the game of hockey. As we heard from his daughter give a heartfelt speech and other members of his family be present, former teammates, hockey players and fans watch as his jersey was lifted to near the rafters. It was a touching moment in time, as we reflect on the lost of a loved one. As we look back we remember past times shared and are ever grateful the impact these people had on our lives and growth as a person. Thank you Mr. Hughes for the life lessons you have taught me. After the special ceremony a hockey game started, which proved to being very engaging.